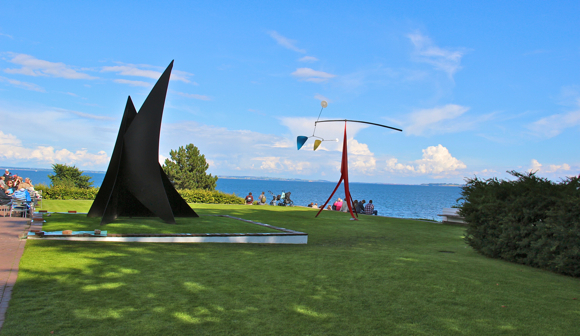 The environment plays a big role in sculpture parks, by its very nature displacing the usual “white cube” with a background of manicured lawns, forest thickets or the crashing waves of the sea. Here it rains, the sun dries, and the snows blow freely. The sculptures practically change according to the weather, looking different under clear skies than they do under overcast ones. The works of art faithfully stand where they have been placed, but they live a much more intense life than if they were in a museum or gallery. It's a given that the best and most interesting sculpture parks are an essential part of a good cultural tourism trip. We've selected ten parks located in Lithuania, Finland, Sweden, Denmark, Iceland and Norway, all of which are perfectly suited for visiting in the final days of summer, when we all want to avoid having to go indoors for as long as possible. For those interested in going on a similar tour in 2014, we recommend keeping an eye on developments in Oslo. Construction is currently going on for a gigantic sculpture park costing almost 40 million euros, and which is set to display 80 works by renown artists. Although the city's inhabitants aren't too excited about the park (trees growing on Ekeberg Hill, where the park will be located, had to be sacrificed), the project's initiator – businessman and art collector Christian Ringnes – is unwaveringly charging ahead. The drama can be followed on the park's regularly-updated Facebook page, as well as on the Facebook page set up by the movement that sprung up in opposition to the park – “Save Ekeberg Forest”. But for now, we'll concentrate on parks that opened last year, or ten years ago, or even twenty or eighty years ago. The history of Ladonia is like a tall tale that you want to listen to again and again. In 1980, the Swedish artist Dr. Lars Vilks found himself in a hard-to-reach corner of Sweden – the rocky seashore of the Kullaberg nature reserve in the southern province of Skone. 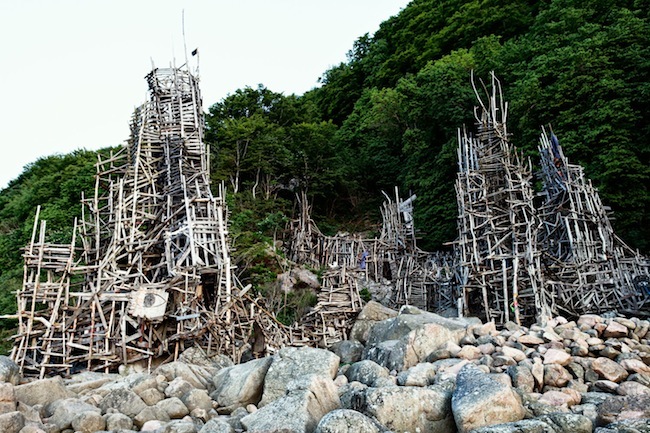 Here he built a huge sculpture from 75 tons of driftwood; it looked like a gigantic house made from matchsticks, and he called in “Nimis”, which means “too much” in Latin. The local government found out about the sculpture only after two years, and they ordered it to be knocked down, since construction is not allowed in the nature reserve. The structure really did look like a building, and so it was considered to be one. Vilks went to court and lost; nevertheless, he refused to give in. It should be noted that during this time, in 1984, the wooden sculpture “Nimis” was bought by the German performance and installation artist Joseph Beuys; after his death, it was bought in 1986 by Christo and Jeanne-Claud, who had become world-famous by “wrapping up” almost everything and anything, including the Reichstag and the Sydney coast. On 2 June 1996, Vilks declared Ladonia a micro-nation with a territory of 1 square kilometer, even though not one country has officially recognized it as such. From 1991 to 1998 Vilks worked on another sculpture in Ladonia, this one made from stone and called “Arx” (Latin for “fortress”). The case was again brought to court at the end of the 90s, and Vilks was finally recognized as a sculptor, and his creations – as sculptures rather than buildings; it was also deemed that they sculptures didn't even belong to him, and so the order to knock down “Nimis” did not concern him anymore. In 2000, the local council of Skone officially removed the piece of land known as Ladonia from the territory of the nature reserve. Therefore, the sculptures are not under any jurisdiction, and Swedish law does not apply in Ladonia. Ladonia currently has more than 15 thousand citizens, representing 50 different nationalities (including a couple of dozen Latvians) even though none of them live there. It isn't all that easy to find the “Nimis” sculpture complex because there aren't any official signs, nor markings on maps, that would indicate its location. Look for it a couple of kilometers northwest of the town of Arildad; it can only be reached on foot, and following a path lined with an occasional tree or fence painted with a yellow “N”. You can follow along with what's going on in Ladonia by checking out the micro-nation's on-line newspaper, www.ladoniaherald.com, which is updated several times a month by Dr. Lars Vilks himself. If this isn't the strangest sculpture park in Europe, it definitely is the strangest one in Scandinavia. This is its story. 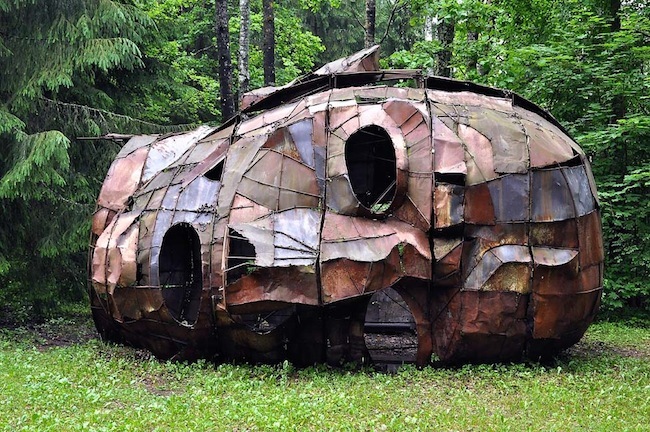 For 50 years (from 1961 to his death in 2010), a Finnish self-taught artist and one-time worker at a paper factory – Veijo Rönkkönen – made poured-concrete sculptures of people, which he then painted and arranged around his life-long house in the deep forests of Parikkala County. In all, there are about 500 of these frozen bodies in distinct poses: women, children, aliens – with creepy grimaces and weird smiles that sometimes reveal real human teeth! The Park's “highlight” is a group of 200 sculptures – self-portraits of the artist doing various yoga positions. In this way, Veijo marked each yoga position that he had mastered. 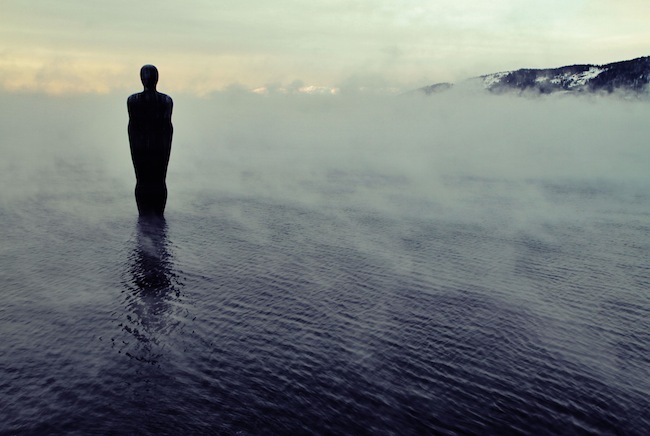 Some sculptures even have built-in speakers that create an especially spooky atmosphere. The artist avoided the public eye while alive; even though he didn't prohibit people from looking at his works, he never led any tours himself. 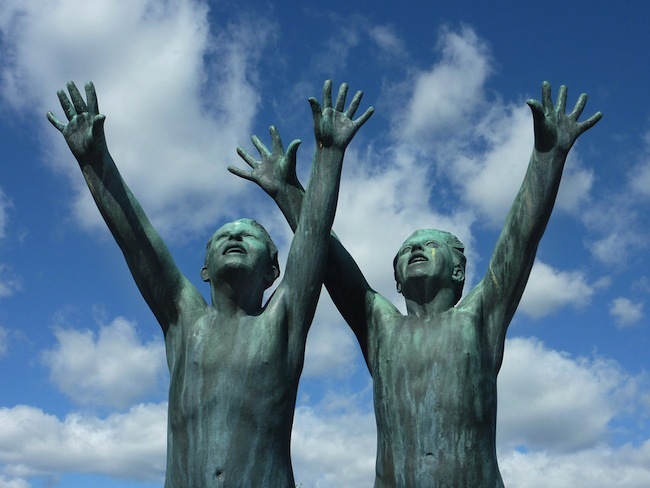 After his passing, all of the sculptures and land were bought by the Finnish businessman Reino Uusitalo, who maintains and restores the sculptures as necessary, and has established the site as a tourist stop.